Gone are the days when a simple black phone case would be enough to dress up your phone. They've now been replaced with clear plastic cases filled with glitter and miniature baubles suspended in fluid—like a snow globe. You probably already own one; the designs out in the market really are too adorable for words. 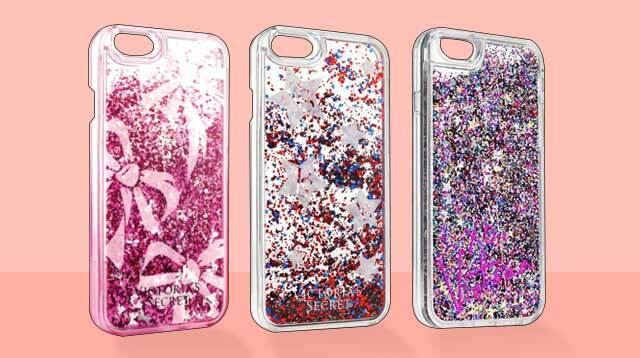 But there's more to these sparkly cases than meets the eye. According to CNN, the liquid inside could burn you and cause irritation if it were to leak out and come into contact with your skin. Tech accessory brand MixBin Electronics had to recall about 275,000 cases for iPhone 6, 6s, and 7 models after "24 reports worldwide of skin irritation and chemical burns." One consumer even reported that aside from experiencing burns, her leg, face, neck, chest, and upper body became swollen.